Retail has been through a rough stretch. As we entered 2016, each day seemingly brought new announcements of physical store closings, poor retail performance, and even bankruptcies. Not even the 2015 holiday season could save the brick-and-mortar retail market. Sales declined 6.7 percent compared to the year before, with more announcements of poor retail performance expected before earnings season is over. Forrester Research predicts, in addition to rapidly growing eCommerce revenue performance, web-influenced physical store sales will account for nearly half of all in-store sales by 2020, with a good amount of that influence from mobile devices. The obvious conclusion: if you want to protect your in-store retail business, you must drive cross-channel innovation that brings together your online and off-line channels. 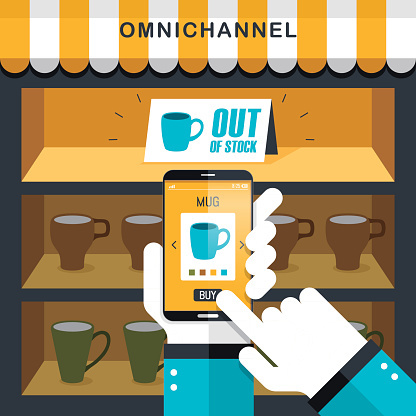 In other words, the future is omnichannel. To help drive your 2016 planning, and satisfy consumers’ appetite for technology, there are four types of retail technology innovations you should pay attention to. One interesting example of fitting room technology is the interactive mirror, also called the magic mirror. From the comfort of a store’s fitting room, customers can view alternate product styles or colors, matching accessories, or even request additional items, all without leaving the privacy of the dressing room. Not only do customers enjoy a richer shopping experience while interacting with magic mirrors, but retailers also benefit from distinct advantages. They can use fitting room technology to offers special promotions, collect consumer insights, and drive engagement using loyalty programs. Retailers know that making the sale while a customer is in the store is key to driving revenue. But what happens if a customer wants something and it’s out of stock? 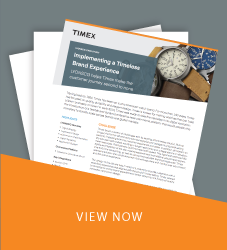 If you leverage technology such as Demandware’s Digital Store Solution, the sale is guaranteed because off-site inventory is made available in the physical store. The endless aisle concept first appeared on the scene several years ago. With reports of increased revenue directly attributed to endless aisle efforts, all signs point to this innovation sticking around. People love their smartphones, and there’s no shortage of innovations that leverage mobile technology as part of the in-store sales process. Beacon technology sends personalized messages to shoppers while they’re in a store and online payment brings the register to the customer, reducing the chance they’ll leave without buying anything. Because of smartphones, consumers are much more informed shoppers than ever before. We expect to see additional ways in which mobile phones play an active part in the sales process. The year 2016 marked the introduction of buyable indications from social media channels. Pinterest’s Buyable Pins enable retailers to engage shoppers right at the moment they find inspiration. Twitter’s Buy Buttons offer a similar capability, and with rumors swirling of a higher 10,000 character limit, the microblogging site will allow retailers to publish richer product descriptions. While the physical retail market may be experiencing difficult times, the demise of the brick-and-mortar store isn’t completely certain. 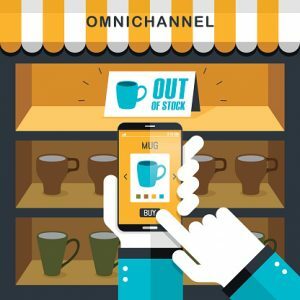 As a retailer, you must take advantage of innovations that make omnichannel commerce a reality. Steve Susina is the marketing director at LYONSCG and a Demandware Strategic Tier LINK Solutions partner. He is an engineer by education and a marketer by choice, leading LYONSCG’s demand generation, thought leadership, and branding initiatives. Does Your eCommerce Website Need a Mobile App?